Building technology manufacturer, Priva, is highlighting its ability to provide a variety of solutions enabling the effective management and monitoring of primary building systems, including air-conditioning and ventilation, as a major new study asserts the importance of lower CO2 levels to the provision of comfortable and health-inducing workplaces. The new report, led by Oxford Brookes University and LCMB Building Performance, contends that CO2 levels in offices are “silently damaging UK productivity”. Monitoring levels and testing workers continually over a two-year period, the study showed that personnel are able to work up to 60% faster in environments with lower CO2 concentrations. In addition, increased intake of CO2 can lead to poor decision-making, slower reaction times and greater tiredness. With the rising number of days lost each year to ill-health in the UK already giving cause for concern, this report highlights the need for building owners and facilities managers to review the impact that primary building systems can have on employee wellbeing. Alongside lighting, heating and noise control, effective air monitoring and management technology should be a priority for any new-build or retrofit project, Priva says. Priva’s product family offers powerful control and monitoring of key building systems. 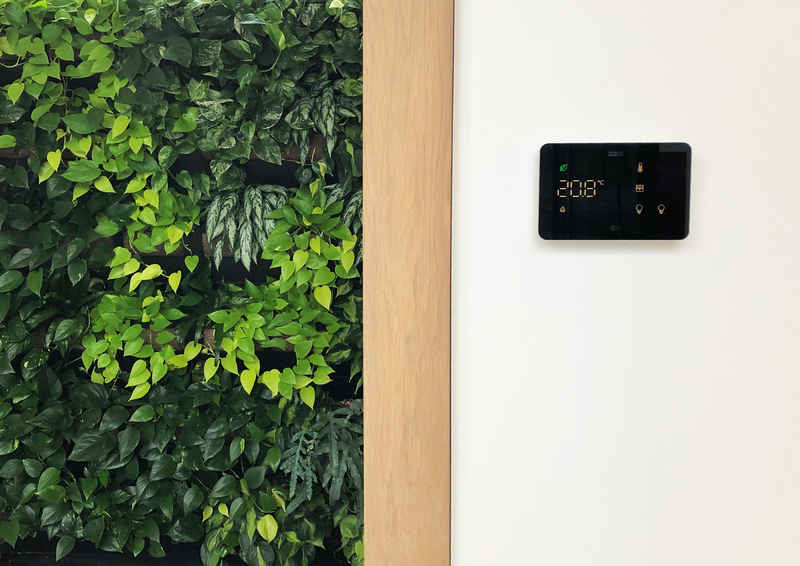 Its Touchpoint One technology – which allows users to adjust room conditions including heating and cooling via a user-friendly user interface – constitutes the latest generation of powerful and aesthetically-pleasing operating units. The unit clearly highlights the status of CO2 levels with the help of clear graphical ‘traffic light’ icons. Recent data published by the UK’s Office for National Statistics indicates that UK productivity is 26.2% lower than Germany, based on GDP per hour worked. As the UK potentially moves into an uncertain economic period, there will inevitably be an onus on all organisations – public and private – to do everything they can to maximise output.